The luminaires of the EPH & EPHBseries are designed to provide directional lighting or backlight with high uniformity and intensity of the various sites located indoors. They successfully replace the conventional highbay lamps of the "bath" and "bell" type. The simple compact design with excellent thermal characteristics provide long lifetime and reliable operation of the luminaire in harsh weather conditions. This type of luminaire allow "hanging" mounting using special fasteners. 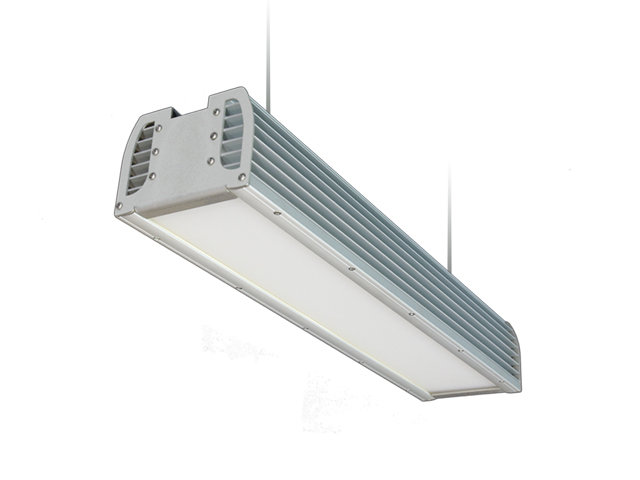 The EPH & EPHB series successfully can be used for indoor lighting of industrial sites such as: factories, plants, warehouses, stores and other sites with high dust level where a higher level of hermetization is required. Using a special optical system (a combination of lenses), the series is applicable to illuminate objects located in different industrial zones, warehouse and port terminals, building facades, sports facilities and others. Using of matt plafond this series of luminaires can be used for lighting of industrialized areas and gyms with requirements for low glare factor. Way of ordering EPHB series - HERE. Way of ordering EPH series - HERE.